On the face of it Phil Earle has created a very unsympathetic character right from the onset. Billy may be in care and we want to feel sorry for him, but that’s exactly what he doesn’t want. No, Billy wants us to see him as a street-savvy hard case, an angry lifer in care, who only has regard and love for his twin siblings, in the same institution with him; the rest of you can take a jump, especially authority figures and his mum, the lush. Then a new girl in class enters the scene and Billy’s life as he wants it starts to unravel, his carapace begins to shred. What finally emerges is a very different Billy, whom we can start to like and who is beginning to be more honest with himself and his emotions and far easier on those around him, who respond accordingly. 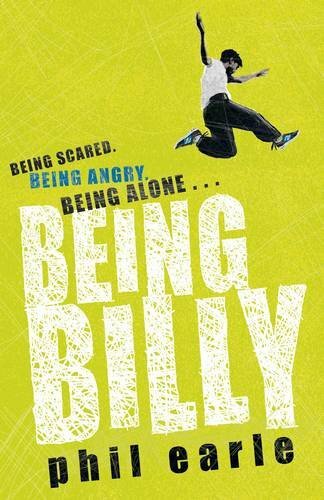 Earle has used his own experiences to create a very convincing main character and narrator in Billy and handles the roller coaster ride with subtlety and honesty. Supporting characters are also convincing and one can’t help but feel empathy both with the mother and Billy’s sworn enemy the Care Home Leader, The Colonel. A cosy read it isn’t. An accomplished debut novel it is! Also worth pushing under the nose of anyone with an interest in pastoral care or associated social issues.